UT Ottawa House East & West Residence Hall | JDRM Engineering, Inc. 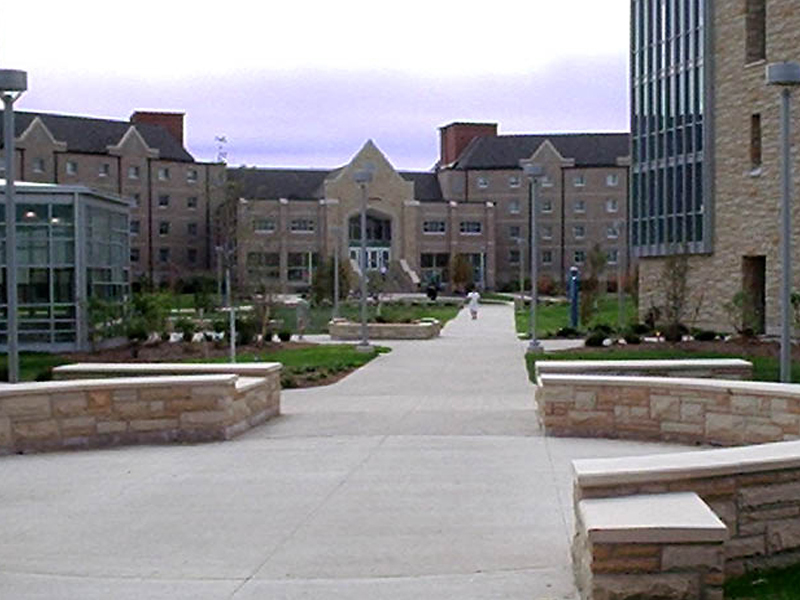 The new 250,000 square foot suite-style residence hall consists of two five-story buildings. In addition to housing 600 students, the facility houses the Universities’ residence life support offices. Special in-house features include a 200 seat Marche kitchen; 100 seat cafe style dining service; and family dwelling units. Mechanical system design includes individual room heating and cooling served by valance radiant heating and cooling units. Heat recovery systems provide ventilation air. The chilled water loop was generated at the main chiller plant and extended into the facility. Electrical systems design consists of lightning and surge protection, life safety, and emergency power generation. The facility is served by four telecommunication rooms, utilizing Category-3 voice and Category-6 data installations including multimode and single-mode optical fiber backbone and CATV service. Wireless access to the LAN is provided throughout the buildings. There are over 1000 communications cabling drops in each building. Building security incorporates CCTV and card reader systems for access control.